Disc: (7/1960)1 Black label, dog on top. 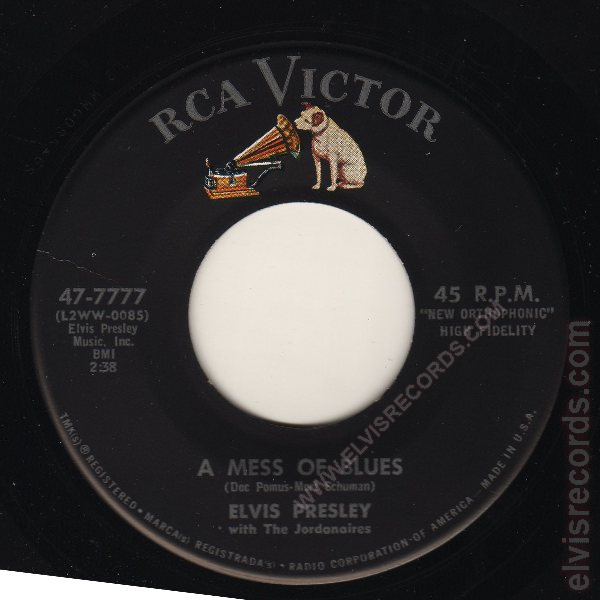 Disc: (7/1960) Black label, dog on top. 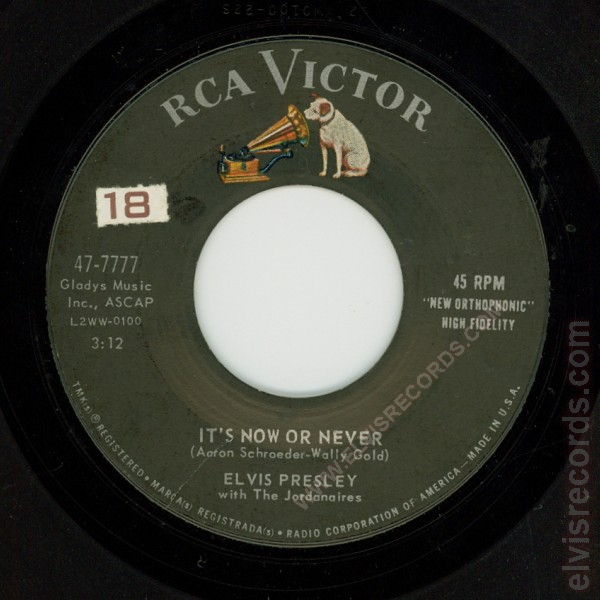 It's Now or Never had no piano on the master.6 A rare variation of this single exists where this version of It's Now or Never was pressed without the piano track. Presleyana V identifies this variation as having a Hollywood pressing label, however, a couple of eBay auctions have confirmed that it is a Rockaway pressing. This is confirmed by the visual identification of the matrix number on the record or the item description and the label of other Rockaway labels. 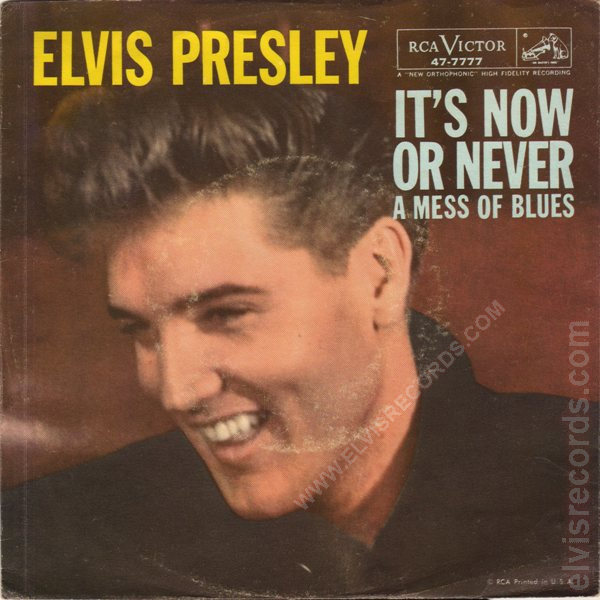 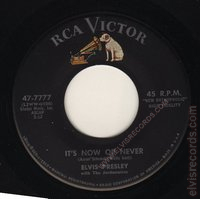 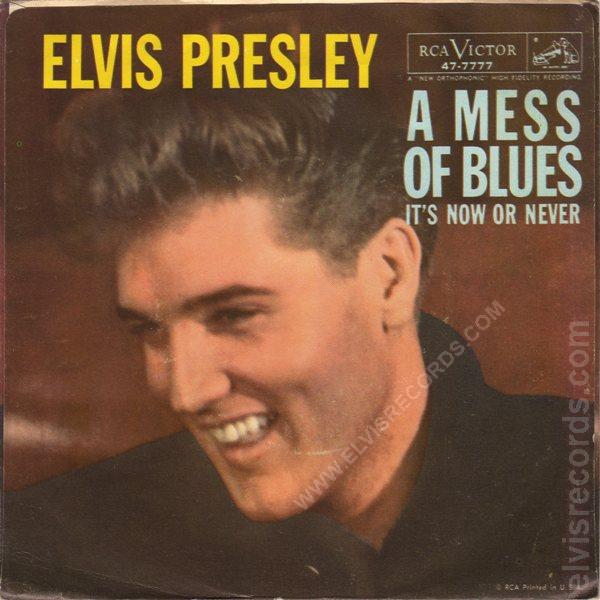 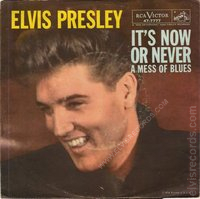 This was also released in stereo It's Now Or Never / A Mess Of Blues in 1960. 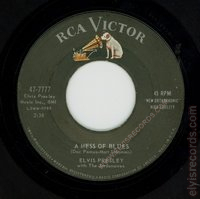 Re-released by RCA Records on 45 RPM as It's Now Or Never / A Mess Of Blues on the Gold Standard Series label.